Utility-scale solar demands powerful, reliable and scalable infrastructure. Utility-scale solar projects demand powerful, reliable and scalable infrastructure. 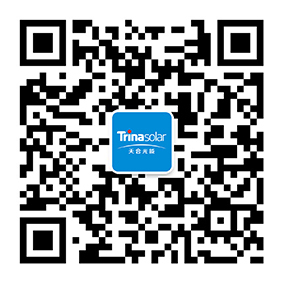 In meeting those requirements, TrinaPro from Trina Solar delivers an all-in-one solution combining inverters, modules and solar tracking systems into a single convenient smart energy solution. TrinaPro provides reliable ground-mounting options that can be enhanced with the addition of a single-axis solar panel tracker. Our trackers enable attached solar infrastructure that adjusts to the sun's east-to-west movement, providing efficiency gains of up to 30 percent by reducing power loss as the angle of incidence changes. Both string and central inverters are available for use with utility projects within TrinaPro. Trina offers a 125 kilowatt string inverter and a 2.5 megawatt central inverter, with or without a transformer. Between them, these options cover a wide range of project requirements. With TrinaPro, DC and AC smart combiner boxes are available to streamline your string inverter setups. Data loggers are another TrinaPro balance of system (BOS) option. Each logger can compile useful information about the performance of PV panels in specific locations, helping you to make more informed decisions about their layouts over time.